For this season’s Jewellery and Jadeite Autumn Auction, which will take place on 2 December, Tiancheng International offers nearly 240 lots of some of the rarest coloured gemstones, diamonds and jadeite. 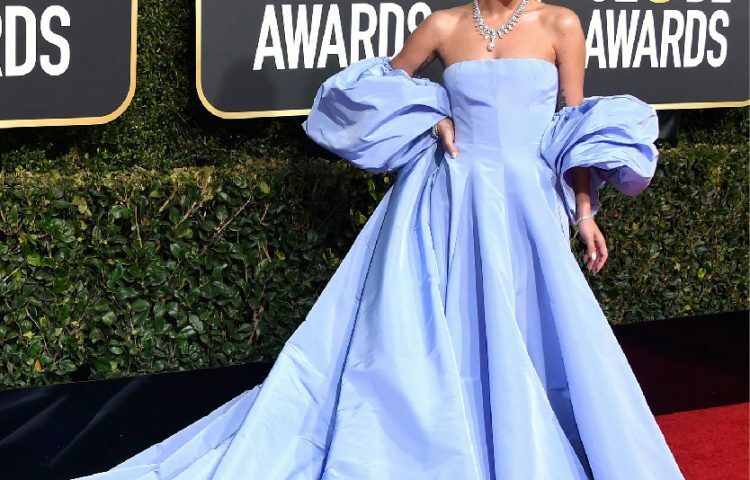 Leading the auction is a 29.53ct D Colour Internally Flawless Diamond boasting a desirable colour and clarity grading, as well as the highest chemical purity and transparency. Preview of the Autumn Auction will be held from 28 November to 1 December (10am to 6pm), and the Auction will take place on 2 December 2018 (Sunday, 1pm) at 30/F, Bank of China Tower, 1 Garden Road, Central, Hong Kong. Unparalleled for its astonishing weight, top-grade colour and clarity, this nitrogen-free 29.53ct D Colour Internally Flawless Diamond is certified as Type IIa with superb transparency. 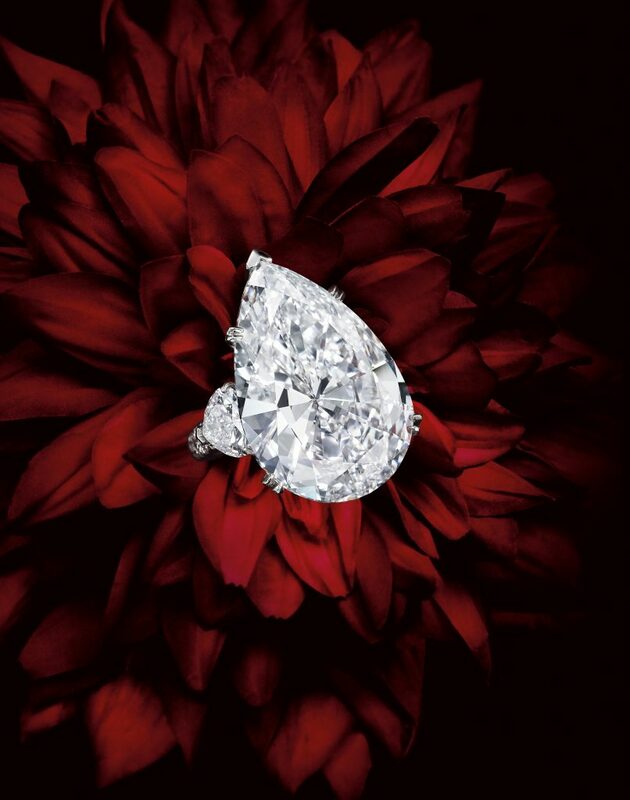 Type IIa diamonds constitute only 1-2% of all natural gem-quality diamonds, making this diamond a rare one. Meticulously cut into a classy pear shape, the centre stone is flanked by two heart-shaped diamonds totalling approximately 2.85 carats. 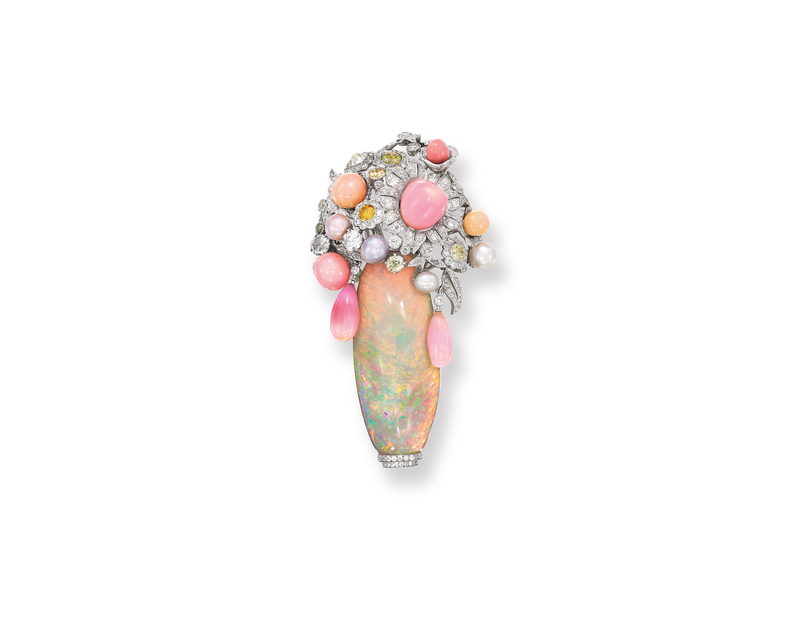 Of every 100,000 gem-quality diamonds, only one is naturally coloured; and among them, fewer than 5% possess a pink hue. 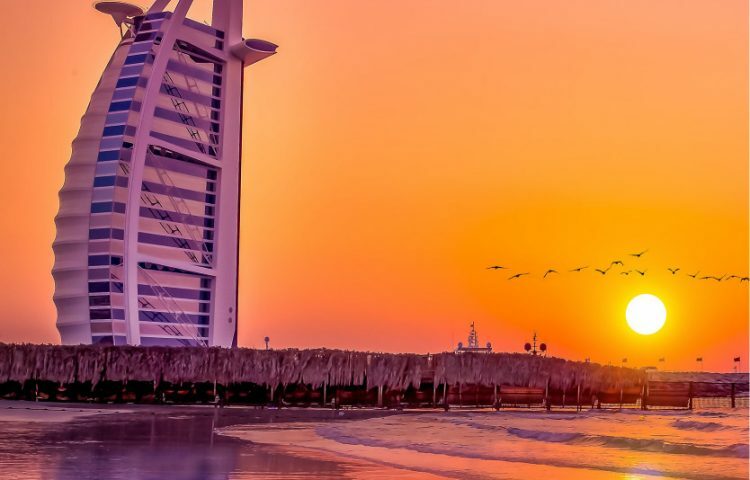 The pink colour formation comes from immense pressure that alters the crystal structure of the diamond, but this process can also create inclusions. Therefore, a pink diamond with high clarity is exceedingly uncommon. 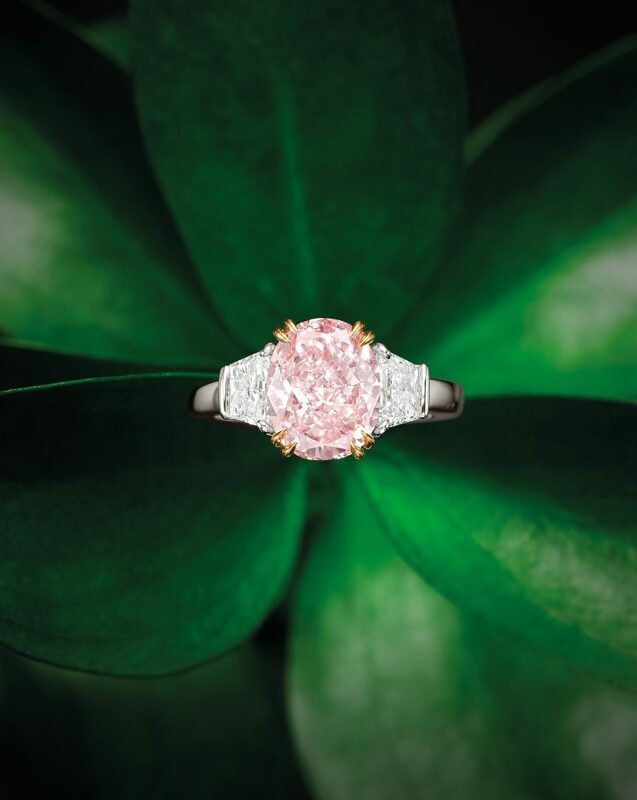 This 3.74ct Natural Fancy Intense Pink Internally Flawless Diamond by Harry Winston displays an exuberant character. The 18K rose gold mounting accentuates not only the graceful hue of the diamond, but also the jeweller’s dedication to detail. Burmese rubies are characterised by their pure and saturated colour, as well as their natural luminescence, though they are normally smaller in size. With prized mines virtually depleted, Burmese rubies that weigh over 5 carats are exceptionally rare. 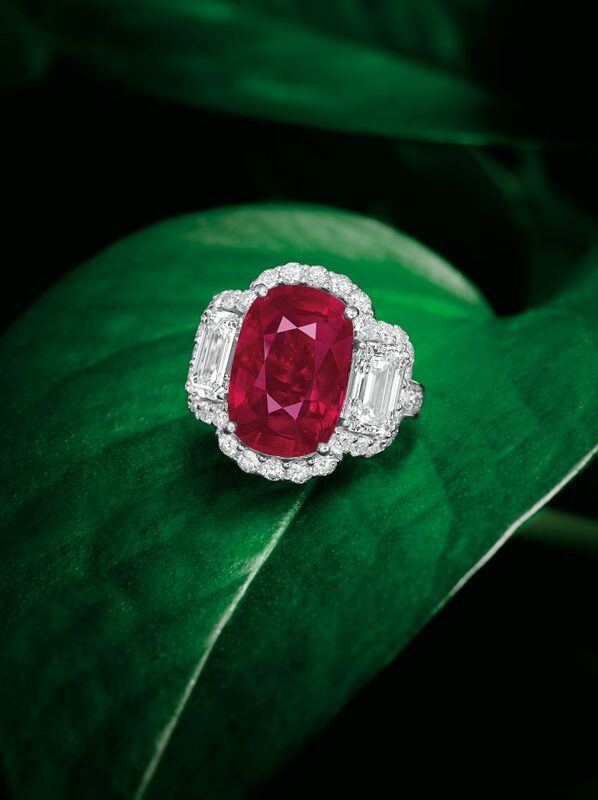 This 8.06ct Natural Burmese Mogok Ruby glows with the most desirable “pigeon’s blood” colour. The legendary Kashmir sapphire mines were depleted in 1887 after only seven years of operation. 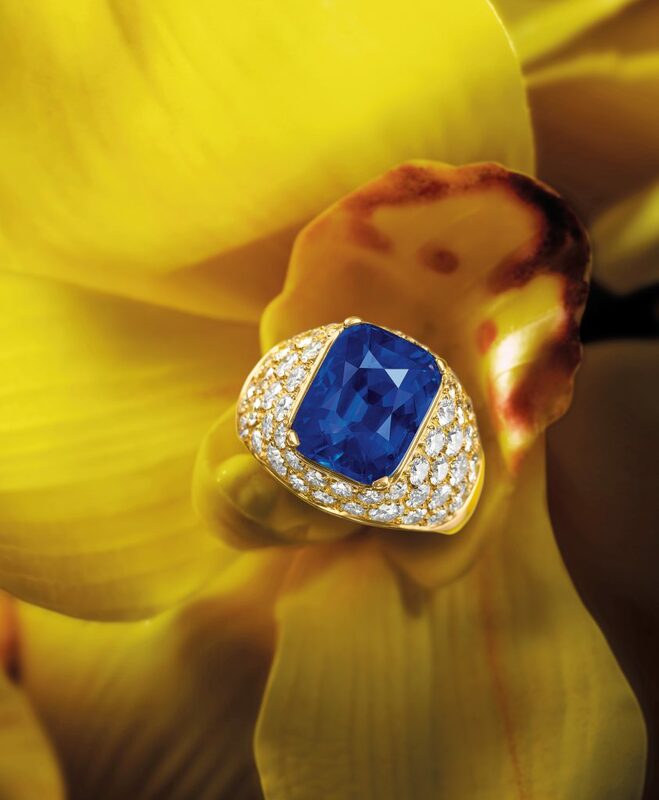 Consequently, every top-quality Kashmir sapphire is a precious gift from nature. This 8.08ct sapphire is unheated and embodies the trademark of Kashmir sapphires – parallel needle-shaped inclusions – enabling it to shine with a rich blue hue and soft velvety texture. 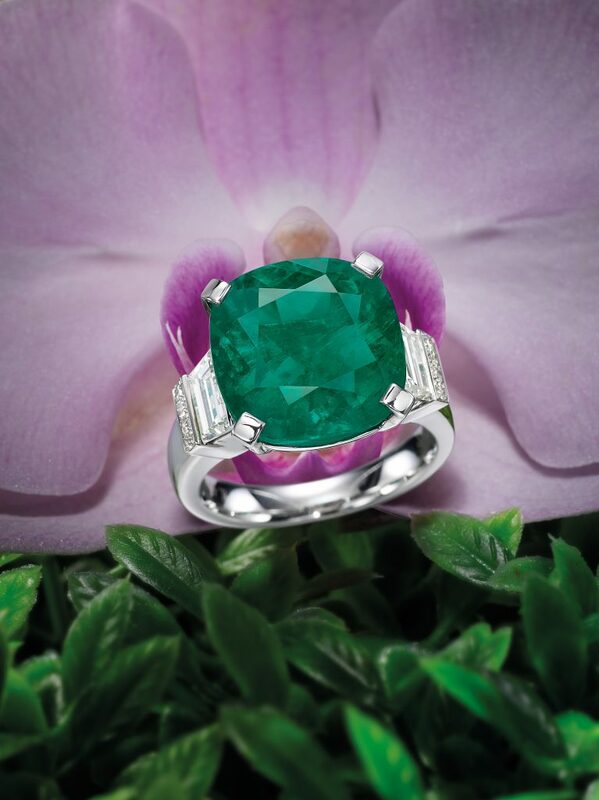 Emeralds are often known as jardin, meaning garden in French, as they usually bear numerous inclusions. Because of this, almost all emeralds are subjected to oil enhancement. This emerald to be offered at auction is untreated and suffused with a pronounced green colour. Hailing from the prestigious Muzo mine in Colombia and with a competitive pricing, this lot is not to be missed by emerald admirers. 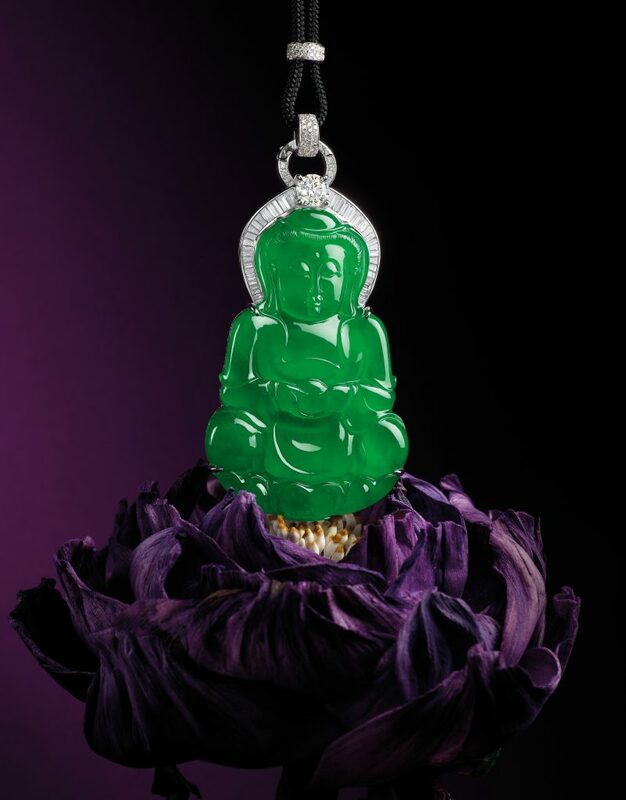 This pendant demonstrates a seamless melding of the spirit of jadeite and impeccable craftsmanship. Emanating luscious green and limpid translucency, the pendant portrays Guanyin with a serene countenance and soft, downcast eyes. Through the fastidious effort of delineating every single strand of hair and the setting of brilliant diamonds as the halo of light around Guanyin’s head, the holy figure is brought to life. Jadeite bead necklaces have always been one of the most sought-after items at auction, as matching the beads is utterly challenging and the entire polishing process involves immense wastage. 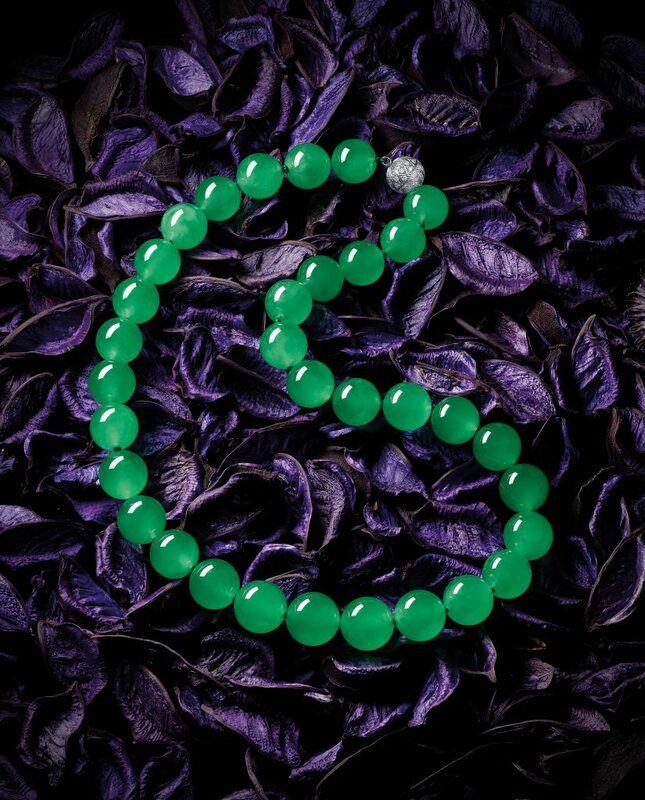 With the largest jadeite bead measuring a stunning 16.84mm, this necklace comprises 33 perfectly round beads of even colour and arresting translucency, symbolising the very essence of Chinese culture and virtue. Designer jewellery presented by Tiancheng International is widely loved by connoisseurs from all over the world. This season, a series of design pieces will also be showcased, including Izumi Takemoto’s work. 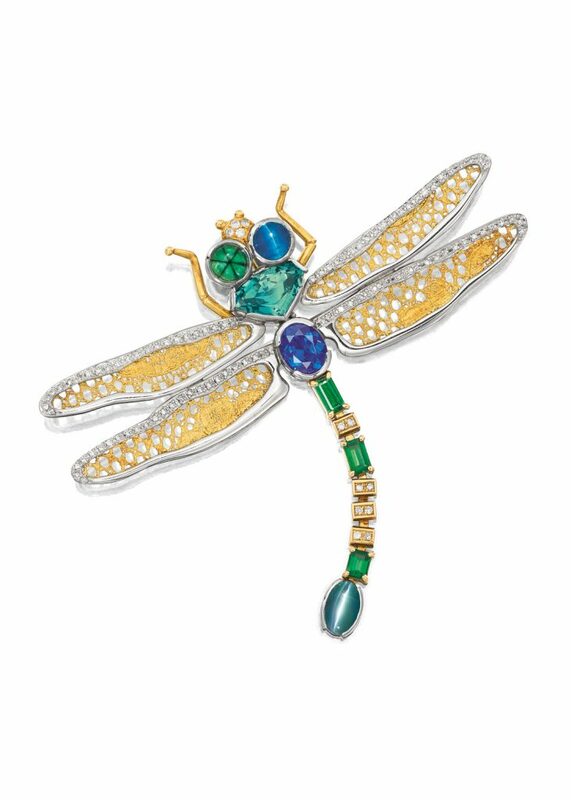 The karat gold openwork wings give this dragonfly a lifelike appearance, while the use of mystical stones such as cobalt spinel and cat’s eye apatite endow it with sparkle and agility. Completed with a movable tail, this little creature comes to life with a playful charisma. 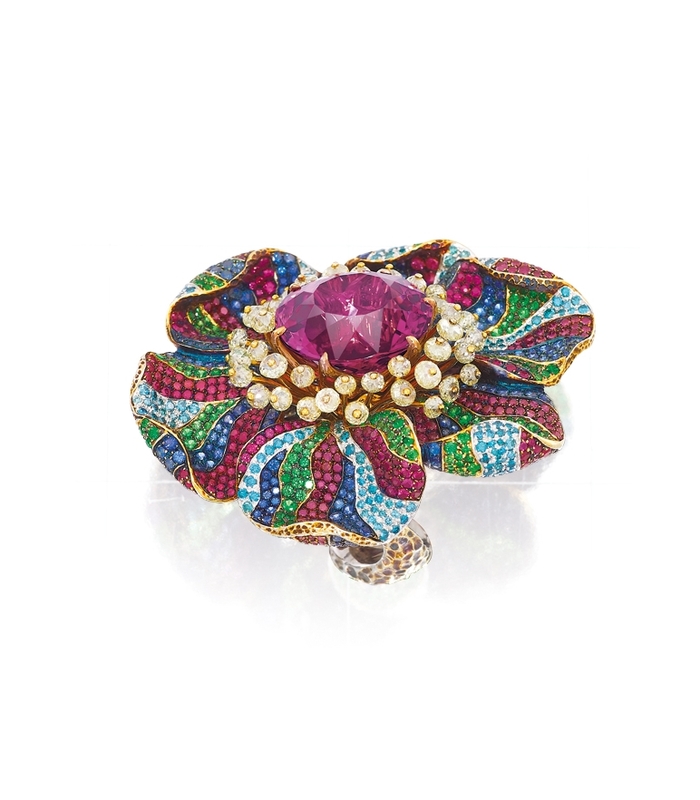 Jewellery Theatre designs with the philosophy of fusing beauty and art, as expressed in this floral ring of intricate workmanship. Set with vibrant and variegated gemstones on both the front and the side, each petal is poised naturally around the beautiful rubellite, making this multi-layered poppy a tribute to the true wonders of nature. 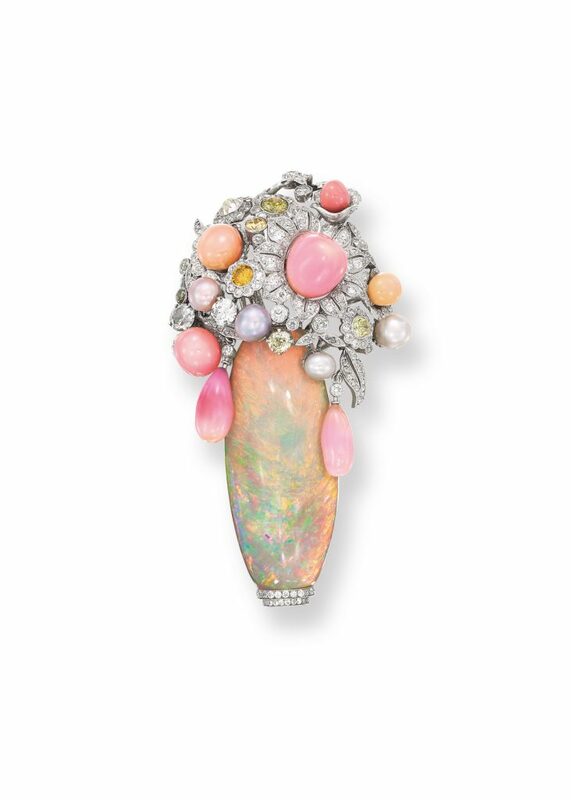 With a magical play of colour, this impressive 63.92ct opal is rarely seen on the market. 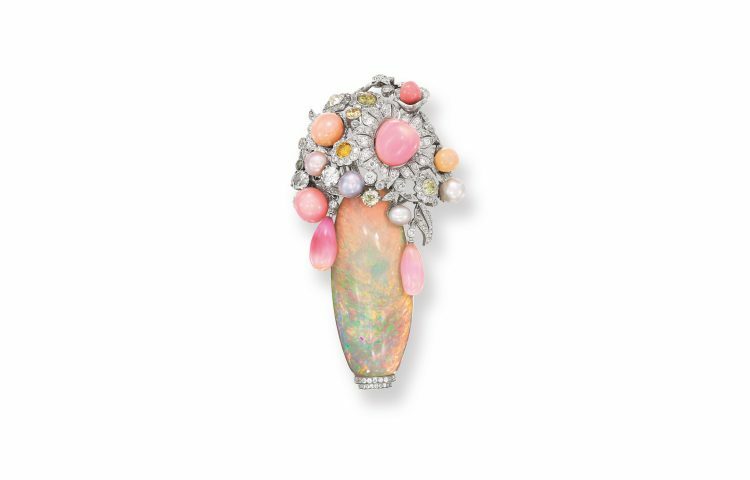 In this piece, the opal is cast as a vase for ravishing blooms made of conch pearls as well as dazzling diamonds, creating a visual spectacle that is both opulent and elegant.